This course for paddlers who have successfully completed the LTK and LTR-Into courses and is designed to take them to next level of progression. The focus of this course will be on learning the river-roll and other two most important aspects of river running, i.e ferry-glides and playing with eddies. The basic idea is to get our students comfortable on all aspects moving water along including being upside down and breathing under water :). This course will be held on Hogenakkal Section of the Cauvery which is located about 120 kilometers from Bangalore. 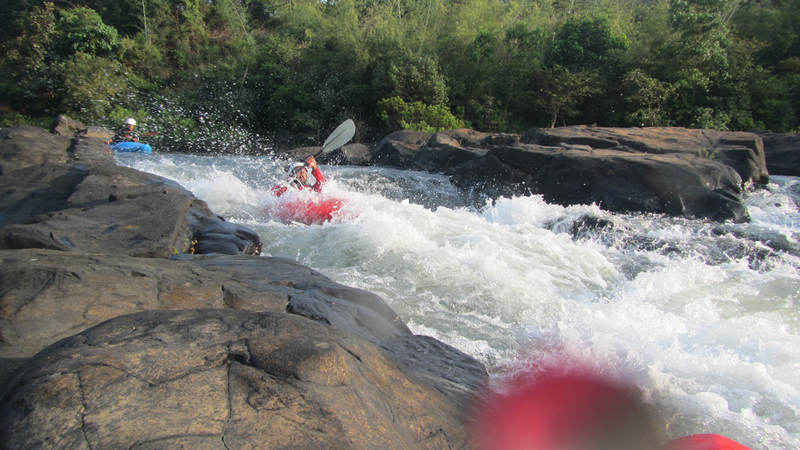 This section offers a few high-volume class II rapids with lots of flat sections in between those rapids and that make it ideal for someone who is looking to step up and sharpen their river running skills. Change of clothes & towel. A quick drying t-shirt along with a pair of shorts for use in the water. If you wish to use sunglasses or spectacles on the river, please make sure that you carry the appropriate retainers so that they don't come off in the water. Have successfully completed the LTK and LTR into or equivalent courses.